The practice of Yoga often surfaces our unconscious patterns of belief and behavior. While Yoga is a powerful tool and resource, what emerges from the practice can sometimes leave us stumped with just what to do and how to harness its potential. Modern Psychology as it relates to Yoga can provide some perspective. The application of modern Psychology into your practice and teaching will deepen your capacity as a teacher and support your ever unfolding growth on and off the mat. We will spend this weekend exploring a variety of developmental lenses to understand ourselves and our students more clearly, providing a rich foray into a deeper understanding of how the spectrum of human psychological, social, and emotional development manifest in and through Yoga, and across the life-cycle. We will investigate each concept through lecture, experientials, and dialogue. Topics covered include Embodiment and Ego formation as developmental tasks, Attachment Theory and the Healthy Holding Environment, The Emotional Body in Yoga, Healthy Relationship, and Community Building Skills. You will come away from this weekend with both theoretical and practical knowledge pertaining to human development as it relates to yoga. The techniques fostered will help you better read and reach your students with authenticity, depth, grit and heart, to ultimately teach the person on the mat, not just the pose in the sequence. 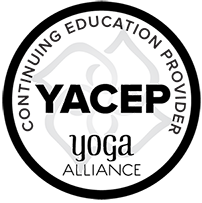 This workshop is open to anyone, qualifies for Continuing Education Credits through Yoga Alliance, and is part of our 300-hour Advanced Teacher Training program. If you are taking this workshop toward your advanced teaching certification, please register for the 300-hour program in advance.